Just listed! Awesome home in the beautiful Stonebridge neighborhood of Raleigh, on a quiet cul-de-sac street. 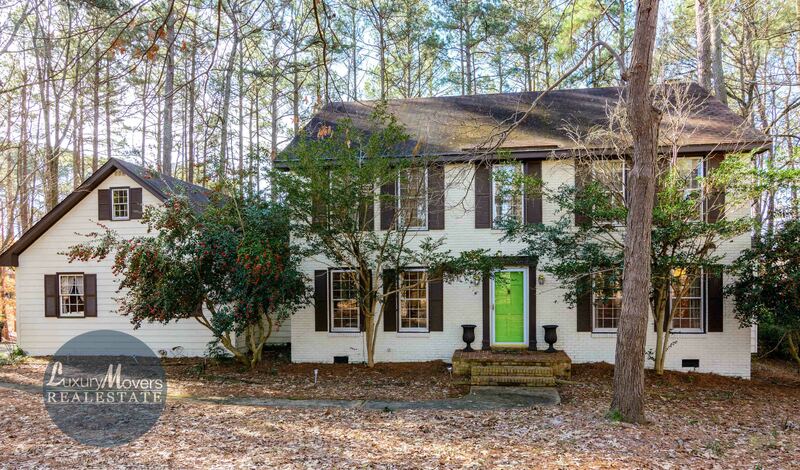 The home is situated on almost an acre of a gorgeous wooded land. It boasts tons of potential, with a large family room with gas fireplace, overlooking the huge private deck, and opens into a great kitchen with solid wood cabinets and a granite island. Formal living and dining rooms, and a bonus room with its own stairs and wet bar! The community has two pools, tennis, ball fields, clubhouse, community lake and lots of social activities for all ages! More pictures and information can be found on the MLS sheet for 709 Lanham Place, Raleigh, NC 27615. Maps and directions to 709 Lanham Place, Raleigh, NC 27615 can be found on Google Maps. Contact us at 919-424-1867 or info@luxurymovers.com to schedule a private tour!